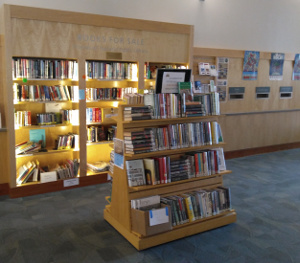 The book sale is in the Community Room of the Tualatin Public Library, 18878 SW Martinazzi Avenue, Tualatin, Oregon. Please join us for the “Members Only” pre-sale on Friday afternoon from 2 to 3 pm. 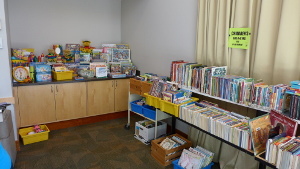 Current members of the Friends of the Library will have first pick of all the sale material. If you aren’t already a member, you can join online before the sale or at the door. This sale will include plenty of books for children, Christmas and holiday themed items, and a huge selection of biographies withdrawn from the library at bargain prices. Don’t miss the usual offering of adult fiction and non-fiction, DVDs, audiobooks, and music CDs. Most book prices are in the 50 cent to $2 range except for some especially nice books and DVDs which will be priced individually. During Sunday bargain sale hours, regularly priced books and media items (DVDs, CDs, Audiobooks) will be $3 for a bag. Items tagged with a yellow sticker will be half-price. 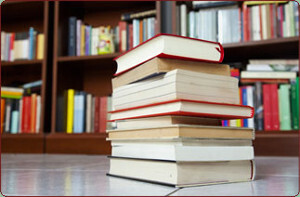 The book sale will be in the Community Room of the Tualatin Public Library, 18878 SW Martinazzi Avenue, Tualatin, Oregon. Need a beach read for the dog days of summer? 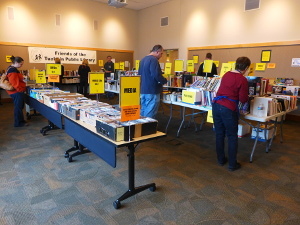 You’ll find a nice selection at a super-low price at the Friends of Tualatin Library Ongoing Book Sale. Hardback fiction books have been marked down to 50¢ each. This sale will be ongoing until the end of August or until our inventory sells out. 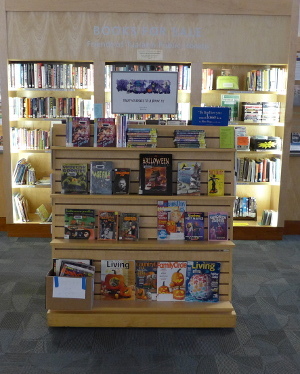 The special sale books are loaded onto the freestanding book case just inside the library’s front door; they’re available for purchase whenever the library is open. The Tualatin Library is located at 18878 SW Martinazzi Avenue, Tualatin, Oregon. Hours are posted on the library’s website.